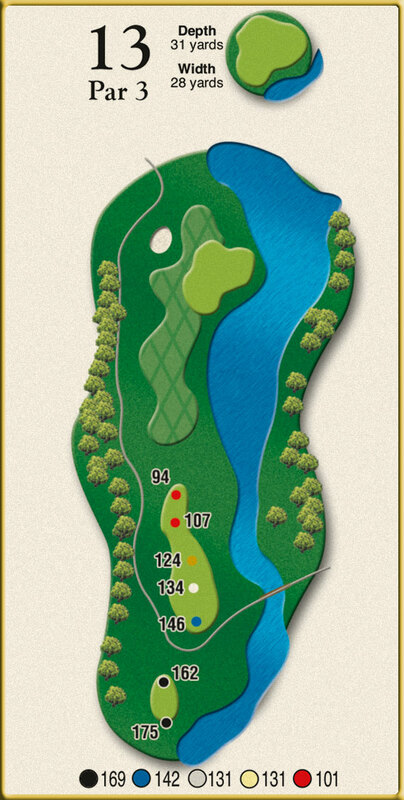 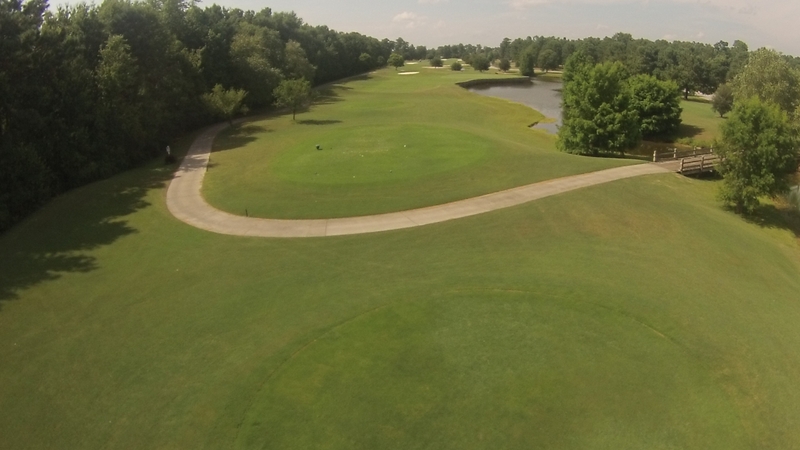 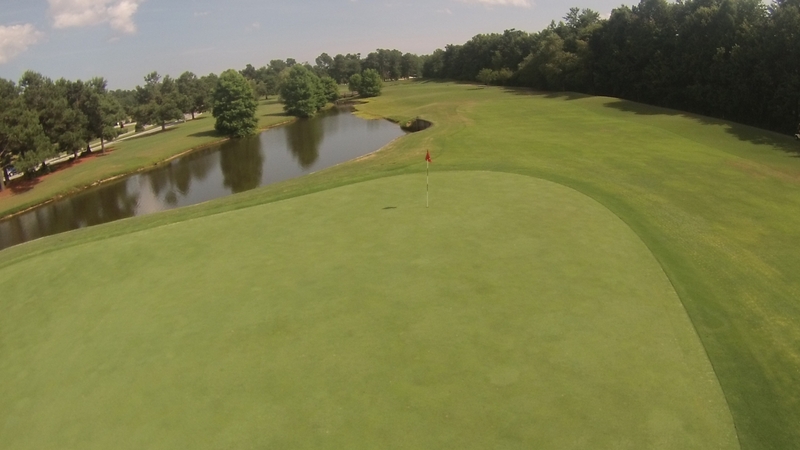 Hole number 13 is the shortest par 3 on the golf course and could also be the most hazardous, depending upon the location of the flag and the direction of the wind. 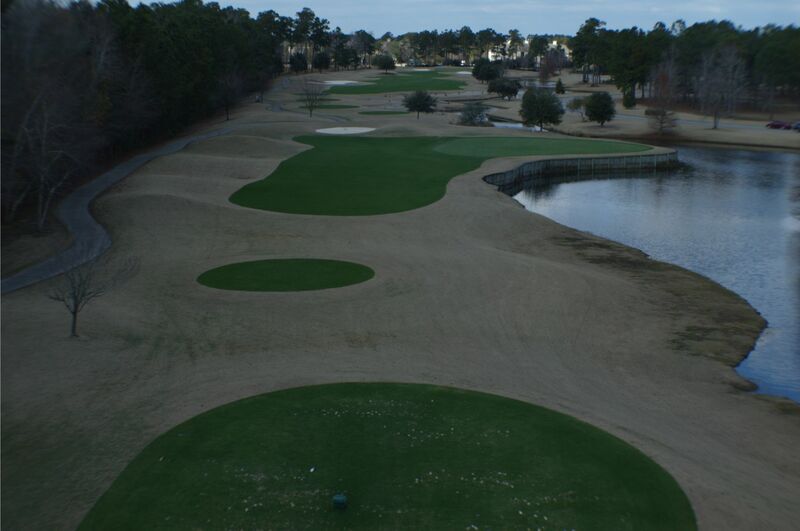 The green is built out on lake with a bulkhead wall around the entire right half. 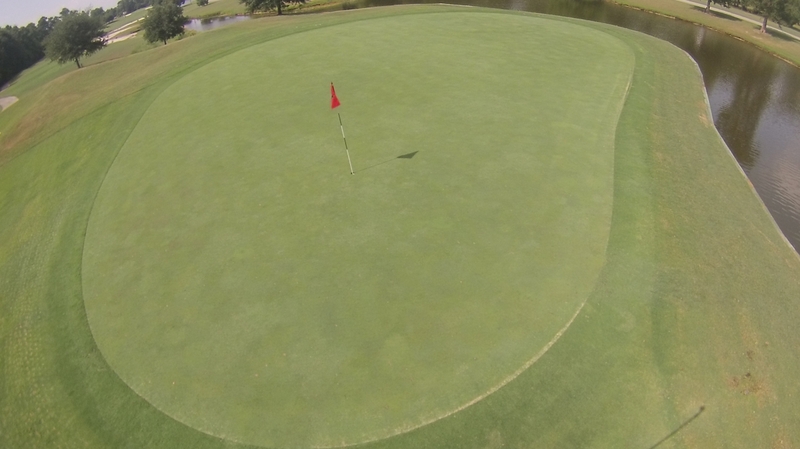 If the flag is on the left, a small pot bunker could come into play on bail out shot. 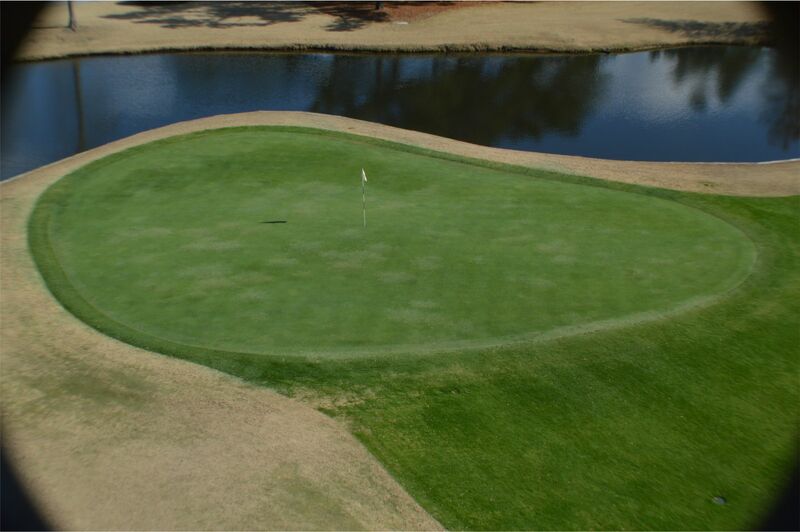 On the other hand, if the flag is on the far right side of the green, going for it could prove costly and will require a very good shot.